Celebrating it's 1 Year Anniversary, FINE Success Magazine has reached over 1 million readers and viewers in its first year. PRLog (Press Release) - Aug. 15, 2013 - ORLANDO, Fla. -- FINE Success Magazine celebrated their 1st Year Anniversary in Orlando, Florida. The event was an awards ceremony and gala, which honored interviewees, journalists and photographers from around the world. Though held in Orlando, Florida; participating were guest from Atlanta, GA; Kinston, NC; Cleveland, OH; Dothan, AL; Chicago, IL; Raleigh, NC; Beverly Hills, CA to name a few. Opening the ceremony was Gospel Artist Lessette Kornegay, who moved the audience with her hit After the Storm. Kornegay’s performance was riveting to say the least. A very touching moment occurred between Master of Ceremonies, Nouchelle Hastings and Kornergay as she concluded her song. Also performing was R & B Artist Azriel Clary, who lit up the stage with energy and a young powerful voice. An informative speech was delivered by Garry Jones on the importance of maintaining integrity in business and entrepreneurship. 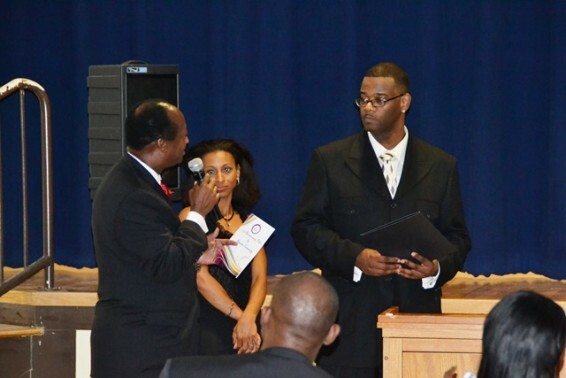 Jones introduced the Founder & CEO of FINE Success Magazine – Vikki Hankins. Hankins shared the inspiration behind the publication ‘giving voice to the people’, but also shared how it began. With only $3 in her purse and previous experience in writing for other magazines and media entities, Hankins started FINE Success Magazine. 2. A Proclamation from Commissioner Samuel B. Ings (City of Orlando), naming August 10th as Marc Gordon Day in Orlando, FL. 1. Hard Work and Dedication as Journalists. Reaching over 1 million readers and viewers in its first year, FINE Success is committed to being the single source of inspiration. The magazine has a down to earth celebrity tone yet it enriches lives with purpose, stronger relationships, healthier finances and inspiration.